The titles up for grabs were the ‘Golden Haggis‘, judged by leading food industry judges, and ‘People’s Choice Award‘ which is judged by around 150 members of the public who attended the event. McCaskies have won this latter award every year since its inception in 2014. McCaskie’s Butchers Nigel Ovens wins Haggis award. These latest trophies mean that McCaskies is the only butcher ever to ‘win the double’, and therefore, given previous success, the only butcher to have won the ‘double double’ for the biggest haggis prizes of the year! 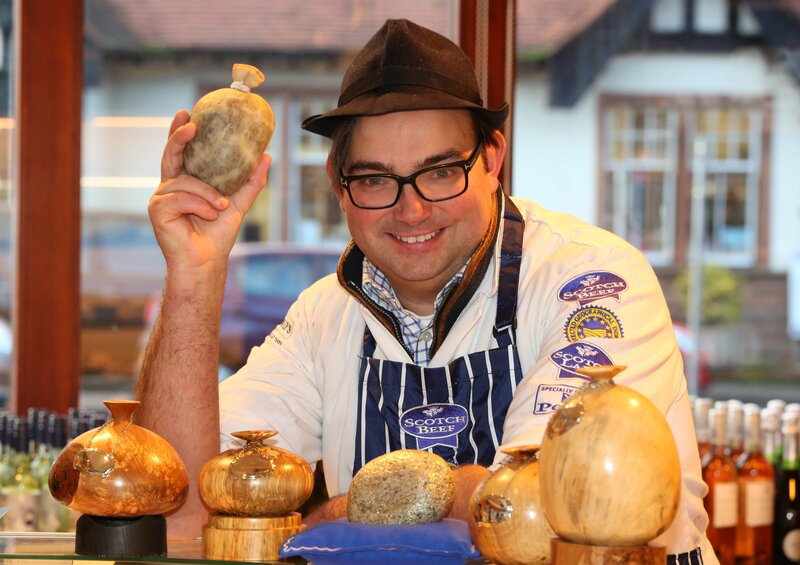 McCaskies have won an incredible six out of the potential eight awards since the competition started, with no other butcher having come close, making McCaskie’s haggis Scotland’s most awarded haggis.